2012 has been a time of great transition in SEO. With Google’s Penguin update in May, we saw a concerted move away from it being duped by black hat techniques, and a move towards beginning to incorporate social signals into its algorithm. Which social signals matter to search engines? Having been widely covered, Danny Sullivan’s article, What Social Signals Do Google & Bing Really Count?, answered some key questions about which social signals were important to the two biggest players in search: Google and, having overtaken Yahoo earlier this year, Bing. Both Google and Bing corroborated the theory that those Twitter users who are deemed to be authoritative lend their authority to the pages they tweet. However, only Bing said it also looked at how often a link had been tweeted and retweeted, while Google said that this factor was measured in “limited situations”. Bing also said it doesn’t calculate Facebook users’ authority, whereas Google says it does, but again, in limited instances. While when Danny wrote his article back in December 2010, both Google and Bing were privy to Twitter’s firehose data (the constant stream of what people are tweeting that should carry some link credit), the firehose data deal between Twitter and Google ended in 2011 when Twitter surprised everyone and decided to go it alone in the online search & advertising racket – although Twitter did renew its social search partnership with the much-less threatening Bing. How much does the Google algorithm rely on social signals? In April this year, Branded3 published its Tweets vs Rankings study, in which it reported that there seemed to be a direct correlation between the number of tweets of a url and ranking. Then, in May, Distilled highlighted that it’s still not clear whether or not Google is using raw ‘Like’ numbers from any/all of the social sites yet, or to what degree this data affects SERP positioning. However, when the Penguin update came out, Google penalised practices such as keyword stuffing, overuse of exact-match anchor text links, link farms, and links from clearly irrelevant sites. So it’s natural and logical to assume that the void that the devaluation of these kinds of signals left has to be filled with some other kind of signals. This, together with the fact that we know Google is moving towards an internet utopia of high-quality, author-attributed content, makes perfect sense that it definitely will be relying on social signals, but to what degree and exactly which ones, no one knows for certain. Does more shares mean more links? 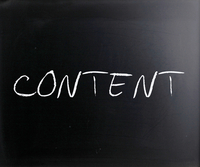 Simple logic tells us that that if content is sharable, then it’s also linkable. Your social networks on each platform follow your brand because it interests them, and naturally, they’re more likely to like, share, retweet, repin, or whatever the action is on that platform that lets them endorse your content – and therefore your brand. Equally, if your brand publishes its industry expertise, then this content is also sharable in a slightly different way: industry blogs and sites will link back to it when they want to reference it in their own work. A link is just another kind of endorsement – one from people who have their own website or blog, and while the vast majority of your social media audience won’t tend to have their own blog or website, some will. In terms of link acquisition, then, think of your brand’s social media channels as targeted distribution channels for the great content you’re putting on your brand’s website and blog – as well as, of course, other great content from around the web. And even if the majority won’t be able to link back to you, that majority’s endorsements will help put your content in front of the people who will, as well as sending positive social signals to Google. How important are authorship signals? First there was the link graph, now there’s the social graph… And soon, we’ll have author graph that Google is building with Google+. In July this year, Grant Crowell interviewed Sagar Kamdar, Google’s Director of Product Management on Search, also responsible for other social initiatives in search. One of the supposed key reasons for Google implementing Authorship is to enable it to identify duplicate content – as well as low-quality, farmed content. When asked whether authorship was used by Google as a ranking signal, Sagar basically said no, but watch this space. However, while it’s not an algorithmic factor, it is a social klout signifier, which is used in the mix to weight results. A fantastic article by Mike Arnesen, published on SEOmoz heralds the imminent arrival of AuthorRank, and insists that when it does finally come (which could be tomorrow or in two years), it’s going to have a big effect. However, Andrea Pernici argues that Authorship profiles aren’t the be all and end all, because they can actually have a negative impact on CTR and could therefore be a bad thing for certain people/brands basically because it may confuse the average searcher (and let’s face it, they won’t know why people’s faces and names have started appearing next to some of their search results). Andrea warns that while SEOs and others in the digital industry have been romanced by the notion of Authorship, they must also remain critical and think carefully about whether the projects they are working on with their clients really warrant this kind of attribution. Fair point… But has Andrea perhaps overlooked the rel=“publisher” tag? This tag, if you don’t already know, is slightly (but significantly) different to the rel=“author” tag in that it links back to brand pages on Google+, not individual profiles. And as Aaron Charlie wrote just a few months ago, while we’re not yet seeing publisher info next to results in the SERPs, we soon could be – and it would make perfect sense to, wouldn’t it? If and when publisher info does start being rolled out, it is likely to have a big impact simply because those results that display publisher info will visually stand out from those that don’t. If a user returns to the search results after reading an author-tagged search result for a certain period of time, Google will add three additional links to similar articles from the same author below the originally clicked link. And not only this, but other posts by the author will be also displayed if you’ve previously read one of their articles. What’s the place of social media in the SEO landscape of the future? As outlined in Mike Arnesen’s riveting read on SEOmoz, Google filed a patent for “Agent Rank” (whereby popular “agents” would have their content ranker higher) way back when in 2005. However, the infrastructure just wasn’t in place to implement this idea… And now, with Google+, it is. The fact that Google has been working on this idea for at least the past seven years goes to show, I think, just how determined Matt Cutts and his team are to utilise social signals (in this case, authorship) to help it rank content – a process that it will naturally hone and get better at over time. The challenge of integrating social signals into Google’s algorithm is undoubtedly a mammoth one, especially given the fact that these signals are coming from platforms that Google and its other search counterparts don’t actually own. But the launch of Google+ (i.e. the impact of the +1 on rankings, and the impact of Authorship) is a move away from the reliance on these other platforms, and a move towards funnelling social media activity to a place where Google can reliably measure and use the data for its own ends. However, as SEOs serving different industries, we must also bear in mind that Authorship will take off at different rates for different industries. As Andrea Pernici rightly points out, SEOs in particular have a vested interest in implementing authorship for themselves and their agencies because they need to be seen to be ahead of the game as well as promote themselves as experts in their field. What matters for SEOs may not matter so much for brands right now – until we as SEOs can convince brands to put resources into strengthening their Authorship signals. A couple of weeks ago I was on a panel to discuss the role of content marketing to coincide with the release of Econsultancy’s Content Marketing Survey Report. I was principally there to represent the publisher’s side of this new approach, but one comment I made seemed to cause a stir. It was: If you’re struggling to find a separate budget for content marketing, you could rename your SEO department to ‘Content Marketing’, rather than set up a new cost line. It might then be easier to gain investment for the new discipline, because you’re not setting up a whole new department. I’m sure if you read this article, we’ll come to some agreement. Producing content that consumers want to share is the holy grail for video marketers, as not only is it an endorsement of your ad but it means that person’s friends are also likely to view the video. And within the automotive industry, nobody produces shareable content quite like Volkswagen. A new report from Unruly found that the German carmaker accounted for a quarter of all automotive video shares from June 2011 to June 2012, followed by Kia (21.6%) and Chevrolet (15.3%). The data, which is sourced from the Viral Video Chart of 12,867 autos videos, also shows that VW’s Super Bowl ad The Force is the most shared ad of all time, with more than 5.5m shares and 62.5m views. Econsultancy has this month published the second edition of the Marketing Automation Buyer’s Guide, which contains an analysis of market trends, profiles of vendors and tips for marketers who want to invest in an automation platform. Below, I’ve focused on one of the trends highlighted in the report: the integration of traditional prospect data with social data and the steps that marketing automation vendors have been taking in this area.